This diverse community is set in the heart of the Waikoloa Beach Resort on a beachfront setting and offers both private residences and two- and three-bedroom vacation villas. Along the edge of the water are the private residences and the Kolea Beach Club. Nestled behind these villas are 50 two bedroom villas and 10 3-bedroom villas. 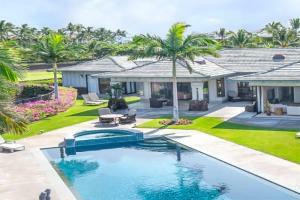 Located in the Waikoloa resort area, 18 miles north of Kona International Airport.